Create your invitation and share with guests. Create your invitation by selecting one of our cards or uploading your own image. You will be asked to choose a charity you wish to support and to add details about the special gift you would like for yourself. 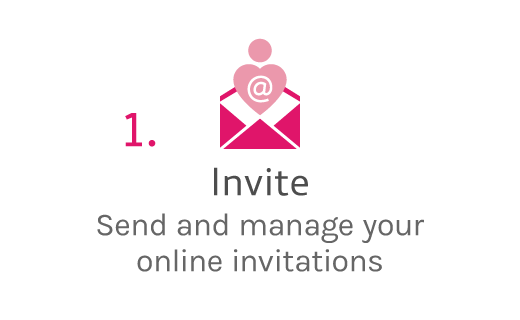 Next, simply enter your party details and guests’ email addresses and send your invitation. Guests can contribute money into a gift fund instead of bringing individual gifts. Your invitation will give your guests the option to contribute to a gift fund, which will be split between your chosen charity and special gift for you. Guests who choose to contribute to your gift fund can send money online safely and easily using a credit card or PayPal. Your gift fund is shared between your chosen gift and a donation to your charity. The money collected will be split between you and your chosen charity. The percentage donated to the charity is up to you. Twopresents will transfer your portion of the funds to your registered bank account so you can buy your special present. The charity’s portion, minus processing fees, will be sent to the charity to support the cause that is important to you. The charity will issue a tax receipt to you.